It's official: Withings is dead. The health and fitness company, bought by Nokia last year for a cool $191 million, is marking the final stage of its transition with a full rebranding all its products to the Nokia name. 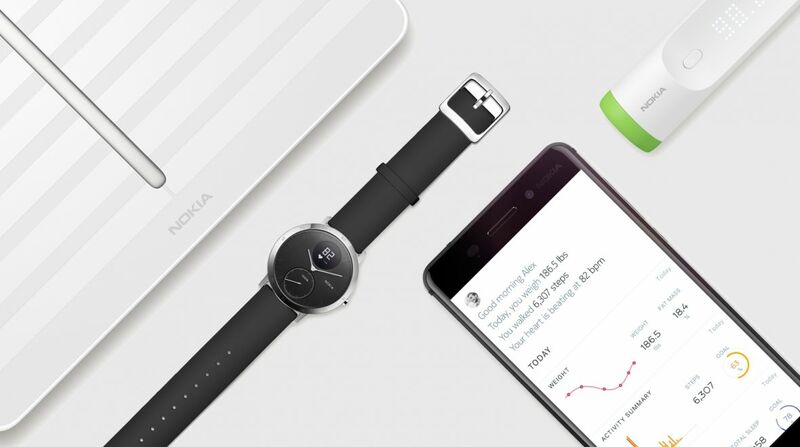 To coincide with this it's launching two new products, a new BMI Wi-Fi connected scale and the Nokia BPM+ soft-cuff blood pressure monitor, alongside an overhaul of the Withings Health Mate app that sticks the Nokia name on a new design. But more important is what comes next. Speaking to Wareable at Nokia's San Francisco office, Nokia VP of digital health (and Withings co-founder) Cédric Hutchings laid out the vision for the future, which will be comprised of more actionable data, better coaching, and sending vital health information between patients and doctors. Rather than fitness, the post-Microsoft Nokia is all about looking over your overall health. First up, yes, gone is the Withings name. The existing lineup of Withings devices are now rebranded as Nokia's, so the Withings Steel HR is the Nokia Steel HR and so on. This is just in name - any existing Withings devices will continue to be updated, of course - and the new Nokia versions will be no different beyond a slightly shorter name. The Withings Health Mate app however, a Wareable favorite, has been pained over with what Hutchings calls a "Nokia-ness" in design. It now bears the Nokia name too, naturally, but more significant are the new coaching programs, something that we've been hoping to see on the app for a long time. "One is called Better Body," said Hutchings, demoing the new app. "It's all about learning about your body composition and discovering a new way to lose fat, not weight. Its an eight-week program, but it's not like, take this program to lose X pounds in eight weeks, that's not what we stand for. But it's a journey to learn and add step by step some healthier routines." Hutchings said one of the goals under Nokia is to make physiological measurements like cardiovascular health more accessible to the masses, but the most intriguing facet of Nokia's plan is how it wants to play with doctors, which is part of what Hutchings means when he talks about "transitioning from treatment to prevention" under the Nokia name. Earlier this year it launched its HealthKit competitor called Patient Care Platform, a portal between between doctor and patient, which is currently being used by the UK's National Health Service to conduct a study of remotely treating hypertension. "The statement of saying that healthcare isn't ready to adopt this technology is wrong," said Hutchins. "It is happening." "A big part of the problem we have with chronic disease management is that patients are not compliant with what they're supposed to do, because it's too burdensome." With the platform, doctors can remotely monitor a group of patients and receive alerts, while the patients simply use their blood pressure monitors, smart scales etc from home. Nokia is looking to work closely with more health care systems around the world. "We expect chronicle disease management to quickly adopt," said Hutchings. We also touched on the patent dispute with Apple, which recently came to an end with the agreement that Apple will once again sell Nokia products in its stores and Nokia would provide infrastructure services. A press release at the time said the two were also "exploring future collaboration in digital health initiatives". When pressed on this, Hutchings said, "There is a willingness from both companies to explore venues on the partnership on digital health solution. I cannot be very precise at this point at which specific field, but definitely there is a willingness." Hutchings said the plan is to use the Nokia name to leverage some bigger partnerships, thanks to the "bargaining power and muscles" that the name now gives what was once a sizeable company, but certainly not a titan of industry. "This portfolio is a portfolio in digital health and that's really where we want to be. It's not about fitness only; it's about health, and it guides our road map and the way we're thinking about the future."